Looking for a way to assess whether your students have the required computational fluencies for your grade level outlined in the Common Core State Standards? Need help with using your data effectively to provide intervention for at risk students, while challenging students on, or above, grade level? 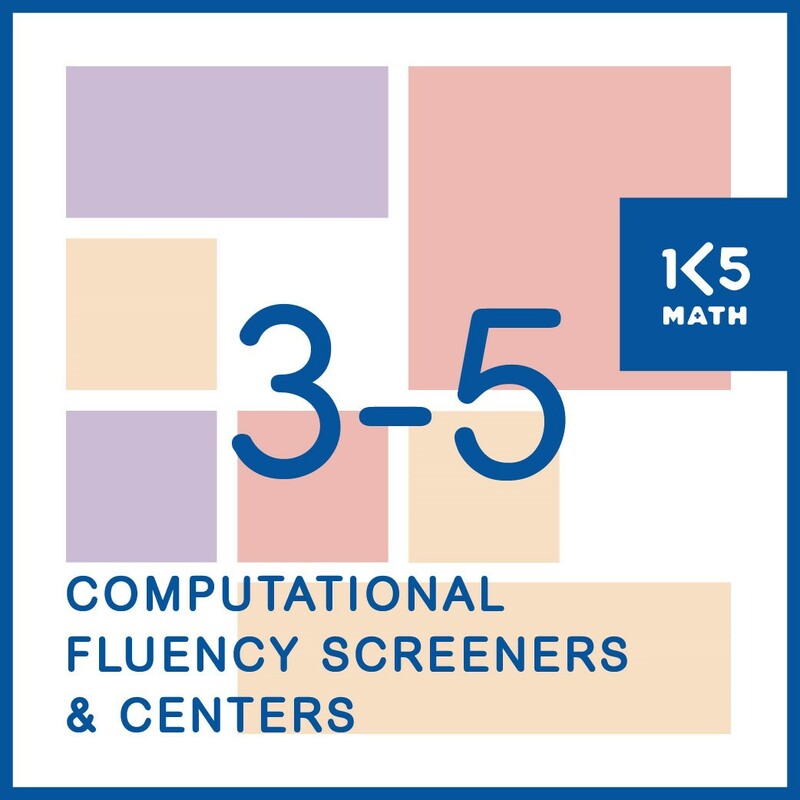 Computational Fluency Screeners and Skills Based Centers provides a research based tool to assess computational skills, monitor progress, and plan instruction and intervention. Designed to allow Grades 3-5 teachers to establish a baseline for each student and target areas in which students may need additional support, screeners (assessments) are included for all operations with whole numbers and decimals. Over 220 Skills Based Centers are included to enable you to effectively use your assessment data to strategically group students to target individual needs. Incorporate Skills Based Centers into your classroom routines, or small group instruction, and watch your students' math skills improve as they build the foundations required for higher level math concepts.